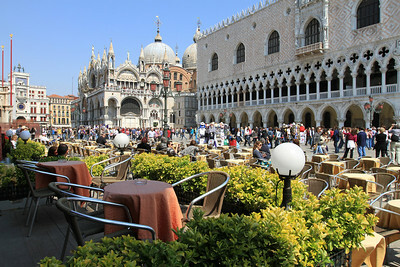 Cafe outside Doge's Palace (Palazzo Ducale) and St Mark's Basilica (Basilica di San Marco). 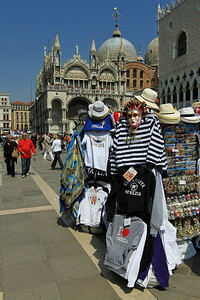 Tourist stalls outside Palazzo Duclae (Doge's Place) and Basilica di San Marco. 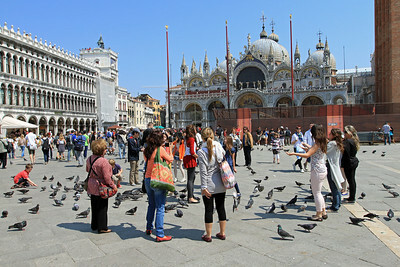 Playing with the pigeons in Piazza San Marco (St Marks Square). 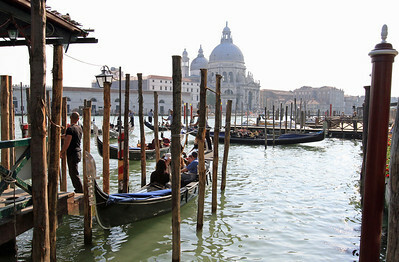 Basilica di San Marco in the background. 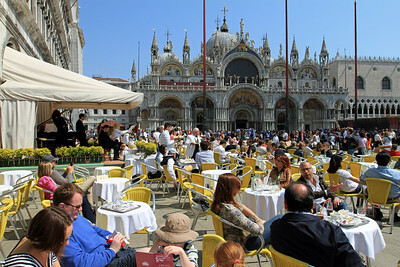 Cafe with band in Piazza San Marco outside Basilica di San Marco. 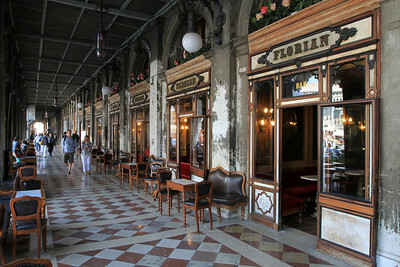 Caffe Florian, Piazza San Marco, opened in 1720 is Italy's oldest cafe. 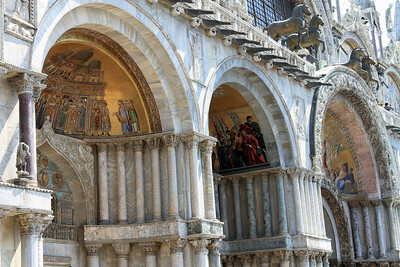 The exterior arches of Basilica di San Marco. 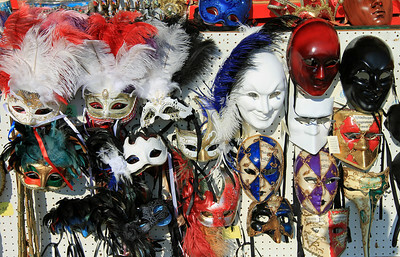 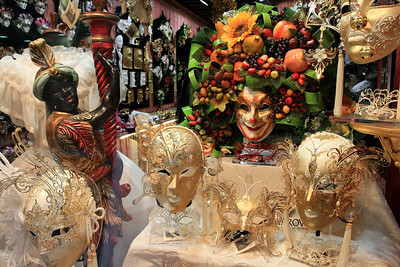 Exquisite masks in the shop window of a mask shop. 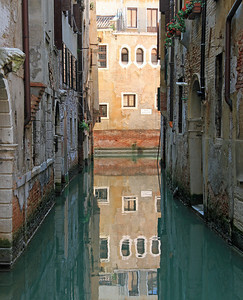 Canal near Piazza San Marco. 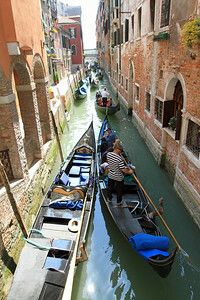 Canal near Piazza San Marco (and just along from my hotel!). 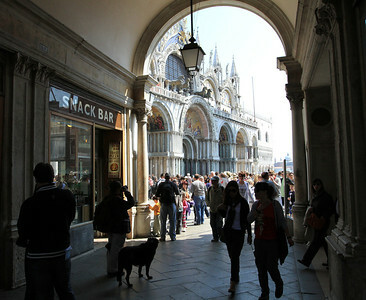 Arcade entrance under the clock tower near Basilica di San Marco. 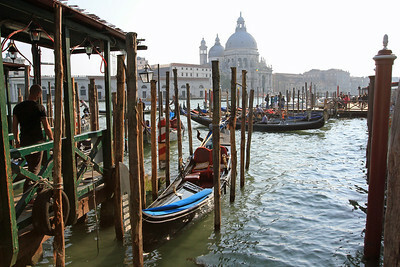 Gondola station (San Marco Vallaresso) on the Grand Canal, with Santa Maria della Salute in the background. 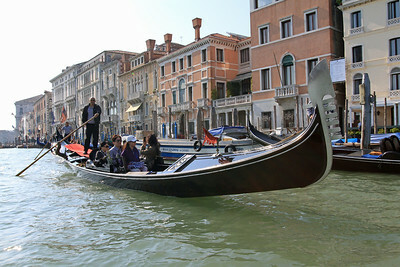 Gondola on the Grand Canal near San Marco Vallaresso. 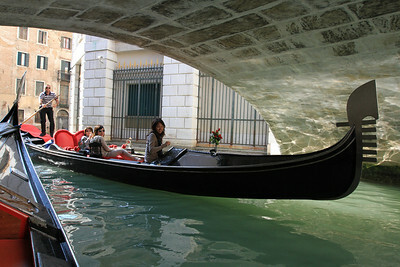 Passing gondolas under a bridge. 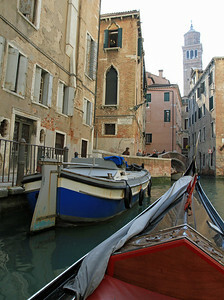 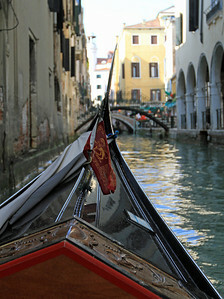 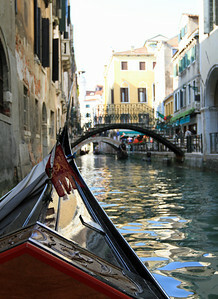 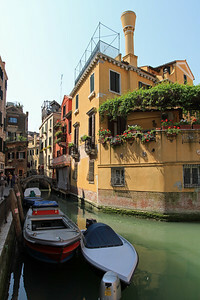 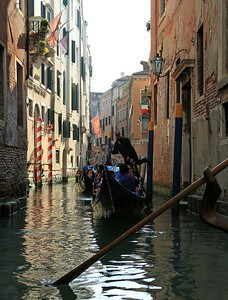 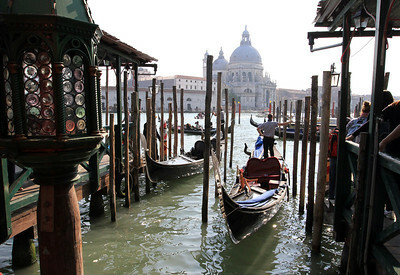 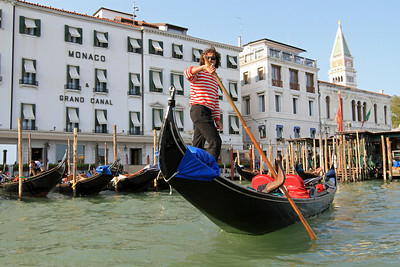 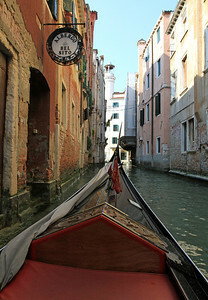 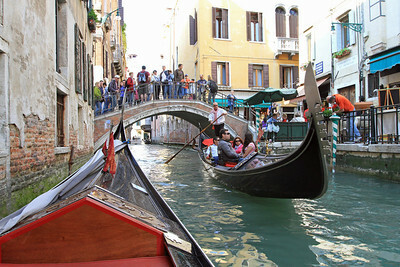 Gondolas and canals...that's what Venice is! 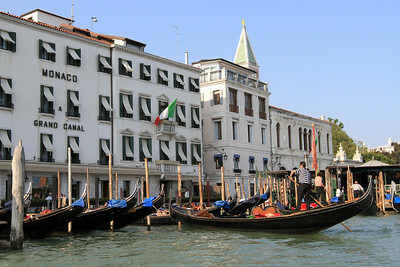 Gondolas outside the San Marco Vallaresso gondola station. 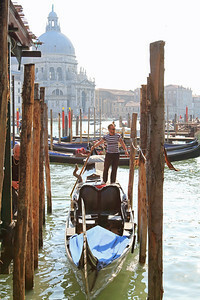 Gondola leaving the San Marco Vallaresso gondola station. 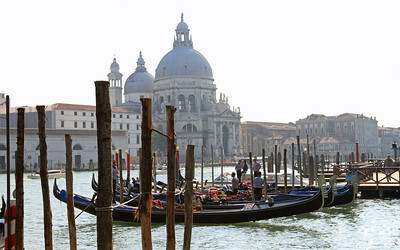 The San Marco Vallaresso gondola station with Santa Maria della Salute (Church) in the background.